The newest film from Hong Sang-soo Claire’s Camera is a strange slice of cinema that recalls Richard Linklater’s Before trilogy as much as the it does the work of Goddard. The film showcases the kind of elliptical and meta film making that Hong is a specialist in. Claire’s Camera finds Hong in a playful mood, commenting on the relationship between the image and people’s relationship with the camera. The film charts the interactions of a Korean director (Jung Jin-young), his producer (Chang Mi-hee) and their selling agent (Kim Min-hee) with Claire (Isabelle Huppert) along with a cameo by a giant mastiff with a gun belt dog collar. Huppert’s Claire is the catalyst for the films tumultuous romp of romantic errors and lies and truths. The film attempts to be both a romantic comedy and meta commentary on the genre itself and the nature of Camera images. The film ultimately is too slight at 69 minutes and feels like an interesting experiment more than a full feature film. Huppert is wonderful as the titular Claire moving out of scenes like a professional assassin. 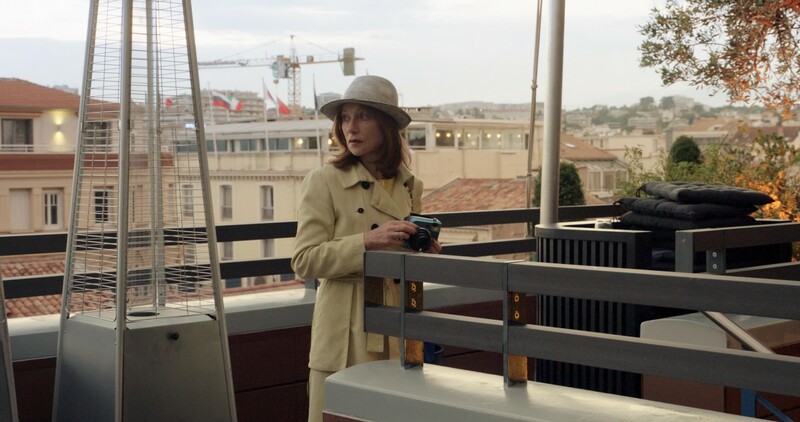 Her work with Kim, Chang and Jung in English is both clever funny and observed… Huppert understands exactly her purpose and how she is essentially a thematic catalyst. Never has an actor used as a thematic ever been better than Huppert here. The film is exquisitely shot on the streets of Cannes with a loose almost improvisational quality that recalls the best of Hong’s work and the work of the French new wave that influenced him so much. The photography and Huppert is not enough to save Claire’s Camera from being anything but a slight albeit interesting experiment in film.